UC President Janet Napolitano placed UC Davis Chancellor Linda Katehi on administrative leave pending a formal investigation into “allegations concerning whether there have been serious violations of University policy,” the UC Office of the President announced on April 27. Napolitano sent Katehi a letter that same day informing her of the suspension and explaining that the investigation examined the employment of several immediate family members, possible “material misstatements” about her role in contracts with companies to alter UC Davis’s online image, and the misuse of student fees. Campus Provost Ralph Hexter will serve as acting chancellor for the duration of Katehi’s suspension. The investigation follows a series of incidents by Katehi that caused controversy on the UC Davis campus. 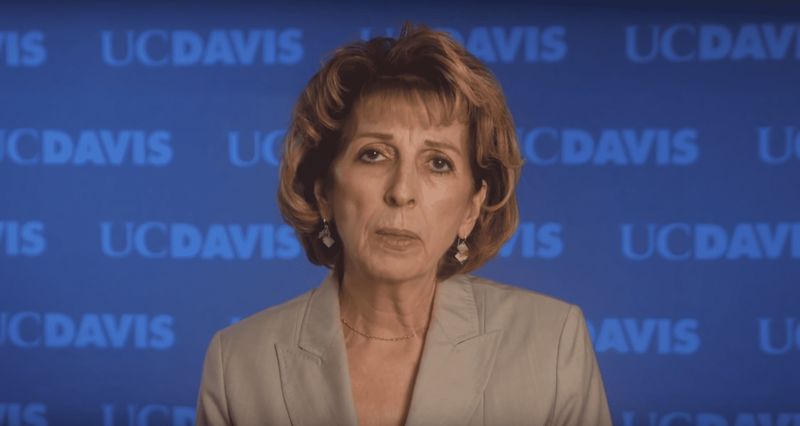 Katehi first came under fire in early March when the Sacramento Bee reported that she was an executive board member of both DeVry University and textbook publisher John Wiley and Sons. Then, in mid-April, she was further criticized after the Bee revealed that UC Davis spent at least $175,000 in an attempt to hide internet search results containing information about the 2011 incident where campus police pepper sprayed student protesters who were part of the Occupy movement. The possible violations of university policy regarding nepotism come from suspicions about the employment of Katehi’s daugher-in-law and son. Napolitano’s letter notes that Katehi’s daughter-in-law was awarded several promotions and a raise of $50,000 over a two-and-a-half year period. Her supervisor, who reports directly to Katehi, also received a pay increase and promotional title changes. Additionally, the academic program in which Katehi’s son works was moved into her daughter-in-law’s department, upon which her daughter-in-law began oversight of the program. The letter did not specify the names of Katehi’s son and daughter-in-law or the program and department in which they work. The alleged misstatement of Katehi’s role in social media contracts refers back to the recent internet results incident, with the letter claiming that Katehi may have been untruthful about her involvement in the contracts with the media companies hired to remove the pepper spray search results. “Despite public statements to members of the media, as well as to me, that you were not aware of or involved with these particular contracts, documents prepared in response to a Public Records Act request indicate multiple interactions with one of the vendors and efforts to set up meetings with the other,” Napolitano wrote to Katehi. In the letter, Napolitano also stated that while she appreciates Katehi’s work for UC Davis, the totality of the circumstances warrants investigation. In a statement released by her lawyer, Melinda Guzman, Guzman said that Katehi welcomes the investigation, but Guzman herself wrote that the announcement of the investigation was hasty and politically-motivated. “This smacks of scapegoating and a rush to judgment driven purely by political optics, not the best interests of the university or the UC system as a whole,” Guzman stated. The decision to place Katehi on leave has currently ended a 36-day live-in and 50 days of protest on the part of the #FireKatehi movement. UC Davis senior Gilbert Gammad of the #FireKatehi movement explained that Katehi’s actions indicate larger issues in the UC system. UC Davis freshman Blythe Nishi also believes that removing Katehi was appropriate and that she should be fired no matter the investigation’s results. However, there are some students who have decided to stand by Katehi during this period of turmoil and are firmly against her suspension. Nolan Matter and Nic Doyen, two UC Davis juniors speaking on behalf of the “Students for Linda” group, explained to the UCSD Guardian that they do not believe removing Katehi from her post was the proper course of action.